This book draws on author’s wealth of knowledge working on numerous projects across many countries. It provides a clear overview of the development of the SDI concept and SDI worldwide implementation and brings a logical chronological approach to the linkage of GIS technology with SDI enabling data. The theory and practice approach help understand that SDI development and implementation is very much a social process of learning by doing. 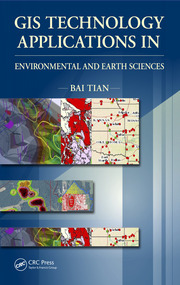 The author masterfully selects main historical developments and updates them with an analytical perspective promoting informed and responsible use of geographic information and geospatial technologies for the benefit of society from local to global scales. Subject matter spans thirty years of the development of GIS and SDI. 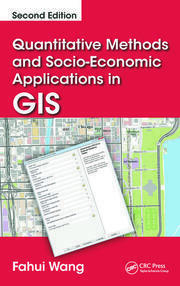 Brings a social science perspective into GIS and SDI debates that have been largely dominated by technical considerations. Based on a world-wide perspective as a result of the author's experience and research in the USA, Australia, Canada, Brazil, Peru, China, India, Korea, Malaysia, and Japan as well as most European countries. Draws upon professional and academic experience relating to pioneering UK and European GIS research initiatives. Includes updated historical material with an analytical perspective explaining what was done right, and what didn't work. GIS. Urban Planning and GIS. The Development of Geographic Information Systems in Britain. The Esrc Regional Research Laboratory Initiative. Conditions for The Effective Utilization of Computers in Urban Planning in Developing Countries. GISDATA Program. Brave New GIS Worlds. What Is Geographic Information and Why Is It So Important. Computers in Local Government: Malaysia. GIS in Local Government: Great Britain. Information Sharing and Implementation of GIS. The Diffusion of GIS In Local Government in Europe. SDI. Managing Our Urban Future: The Role of Remote Sensing and Geographic Information Systems. All Shapes and Sizes: The First Generation of National Spatial Data Infrastructures. The Future of SDI. What’s Special About SDI Related Research? Multi-Level Implementation of SDIs: Emerging Trends and Key Strategic Issues. Spatially Enabling Governments Through SDI Implementation. Changing Notions of Spatial Data Infrastructures. The European Geographic Information Infrastructure Debate. The Indian National Geospatial Data Infrastructure. GI and the Enlargement of the European Union. International Comparison: Australia, Canada and the US. Operational SDI: the Subnational Dimension in the European Context. INSPIRE’s Shift in Emphasis. 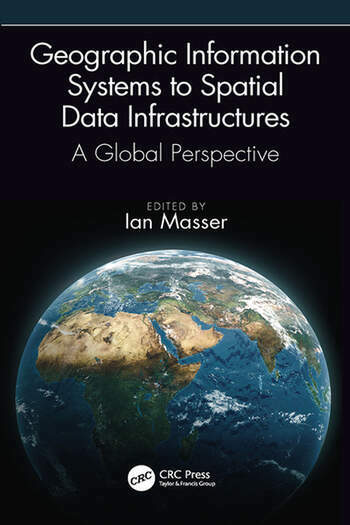 In December 2016 Emeritus Professor Ian Masser received the GSDI Association’s Global Citizen award for ‘his substantive worldwide contributions in promoting informed and responsible use of geographic information and geospatial technologies for the benefit of society and fostering spatial data infrastructure developments that support sustainable social, economic, and environmental systems integrated from local to global scales.’ Educated in geography and town planning at Liverpool University, Ian Masser received his PhD in 1975 and was awarded a LittD in 1993 by the same University. From 1986-1991 he was national coordinator of UK ESRC’s Regional Research Laboratory initiative and he co-directed the European Science Foundation’s GISDATA scientific programme from 1992 to 1997. His publications include twenty books and more than 300 contributions to conference proceedings, books and scientific journals. He retired from the position of Professor of Urban Planning and Management at ITC in the Netherlands in 2002 Prior to that he was Professor of Town and Regional Planning at the University of Sheffield for nearly 20 years. He was the Founder Chairman of the Association of Geographic Information Laboratories in Europe (AGILE) from 1998 to 1999, President of the European Umbrella Organisation for Geographic Information (EUROGI) from 1999 to 2003 and the first President of the Global Spatial Data Infrastructure Association from September 2002 to February 2004. Prof Masser has held visiting positions at universities in Australia, Germany, Greece, Italy, Iraq, Japan, Malaysia, Switzerland and the United States and at government research centres in Korea and Malaysia. He has also acted as advisor to a large number of national and international agencies including the European Commission, Eurostat, OECD, UNCRD and the World Bank.